The corporate social responsibility (CSR) movement has emerged prominently within the twenty-first century as a mechanism for checking and balancing the power of large-scale multinational corporations (MNCs). Certain industries operating within the global marketplace, most notably those in the energy, finance, and transportation industries, have been particularly scrutinized for their behavior during recent years, with a common, proactive response by these firms manifesting in the form of the CSR report; these reports articulate the ways in which the firm impacts the environmental, social, and economic spheres, affording particular attention to environmental stewardship and social consciousness. Increasingly, however, examination of CSR reports has unfortunately highlighted the tendency of firms to use CSR primarily as a marketing mechanism rather than an accurate reflection of socially and environmentally responsible behavior. As certain products and services provided by MNCs prove to harmful in both their manufacturing and their utility, creating various disadvantages to stakeholder groups throughout the supply chain, the need to hold firms accountable for practically manifesting their articulated virtues is crucial. The following inquiry uses Beyond Petroleum (BP) as a case-study of how firms are irrefutably responsible for risks associated with their products when those risks directly emerge from an absence of the company's own, established values. Beyond Petroleum (BP) had been accused of greenwashing its CSR efforts even before the Deepwater Horizon oil spill, with media scrutiny highlighting that the evidence garnered from the firm's CSR report contrasted sharply with actual practices within the firm. In a newspaper article published just days after the oil spill was finally contained, Gardner highlighted that the BP oil spill was undoubtedly the worst oil leak in history, spilling over 200 million gallons of oil into the Gulf of Mexico. The spill caused irrevocable harm to the ecosystem in the Gulf of Mexico and caused substantial economic damage to the four states most directly affected and the people living with those communities; this translates to direct harm against the three dimensions of CSR, with the BP oil spill harming the economic, social, and environmental spheres significantly. Moreover, the oil spill has financially harmed BP directly, costing billions of dollars to the firm in necessary reparations. Consequently, the Deepwater Horizon disaster caused detrimental harm to all stakeholder groups in the firm, thereby representing a rare, total absence of CSR in the firm's efforts. From a virtue ethics, perspective, the Deepwater Horizon disaster would have had to counter the firm's established virtues in order to represent a clear manifestation of unethical behavior. Caiazza highlights that virtue ethics diverges from many other ethical theories in that it presumes the existence of established virtues within the human community which serve as guidelines for ethical behavior. In using BP's own established virtues in order to critique its behavior, it is clear that the unforeseen risk posed by the firm to its stakeholders represents visibly unethical behavior. Given the extreme financial and reputational damage done to the firm, it is clear that BP did not plan for the malfunction with caused the Deepwater Horizon disaster. However, the firm was undoubtedly guilty of negligence with respect to quality checking and operational efficiency, with the established CSR-based agenda for the firm articulating that it is environmentally conscious and socially responsible. Eleven people died as a result of the accident and others were injured. We deeply regret this loss of life and recognize the tremendous loss suffered by the families, friends and co-workers of those who died. 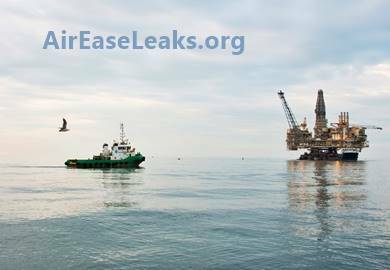 The fire burned for 36 hours before the rig sank, and hydrocarbons leaked into the Gulf of Mexico before the well was closed and sealed. The accident involved a well integrity failure, followed by a loss of hydrostatic control of the well. We regret the impacts on the environment and livelihoods of those in the communities affected. We have, and continue to, put in place measures to help ensure it does not happen again. BP has been consequently charged with the clean-up efforts in the Gulf of Mexico which continue to occur in 2014, spending $14 billion in restitution efforts and long-term environmental protections. External research highlights that BP grossly violated the dominant ethics of CSR, including the importance of stakeholder communication. In its own CSR report, BP asserts the importance of inter-stakeholder engagement and communication as part of its core values; this is in addition to environmental stewardship and social and financial responsibility. In applying virtue ethics to the absence of foresight with respect to the risk associated with BP's products, it is clear that these four values, articulated by the firm in its most recent and previous CSR reports, were violated by the Deepwater Horizon disaster. Padgett, Cheng, and Parekh cite that BP was guilty of a wide spectrum of CSR violations which directly countered the firm's own, established values. There were quality-check failures and frequent corner-cutting which contributed to enhanced product risk. Additionally, the most recent CSR report disseminated by BP highlights that they are fervently protecting stakeholders against similar disasters in the future; this reflects the ability of the firm to protect against the risk posed by the Deepwater Horizon disaster. Companies are responsible for risks presented by the products when those risks directly emerge in contrast to their established virtues. BP continues to articulate that social and environmental stewardship are integral to its company culture in parallel with financial responsibility and interstakeholder communication. The Deepwater Horizon disaster harmed all of BP's stakeholder groups and represents the need for greater scrutiny of MNCs and their CSR reports. As the sustainability movement becomes more widespread and grounded in the social, political, and economic spheres of the global community, firms should be held accountable for their own behavior. Because CSR reports remain largely unregulated, in the absence of external auditor requirements, it is charged to the consumer and other stakeholder groups to maintain high ethical standards for these firms. BP's own articulated values were not reflected in the Deepwater Horizon disaster, thereby reflecting a visible and detrimental ethical violation that has caused the organization irrevocable harm. BP (2014). Sustainability Report. 1-80. Caiazza, J. C. (2014, Spring). History and Tradition in Virtue Ethics. Modern Age, 56(2), 43-59. Gardner, G. Official: BP Spill Is the Worst Oil Leak of All Time. (2010). Daily Mail (London). Padgett, D. R., Cheng, S. S., & Parekh, V. (2013). The Quest for Transparency and Accountability: Communicating Responsibly to Stakeholders in Crises. Asian Social Science, 9(9), 31-45.